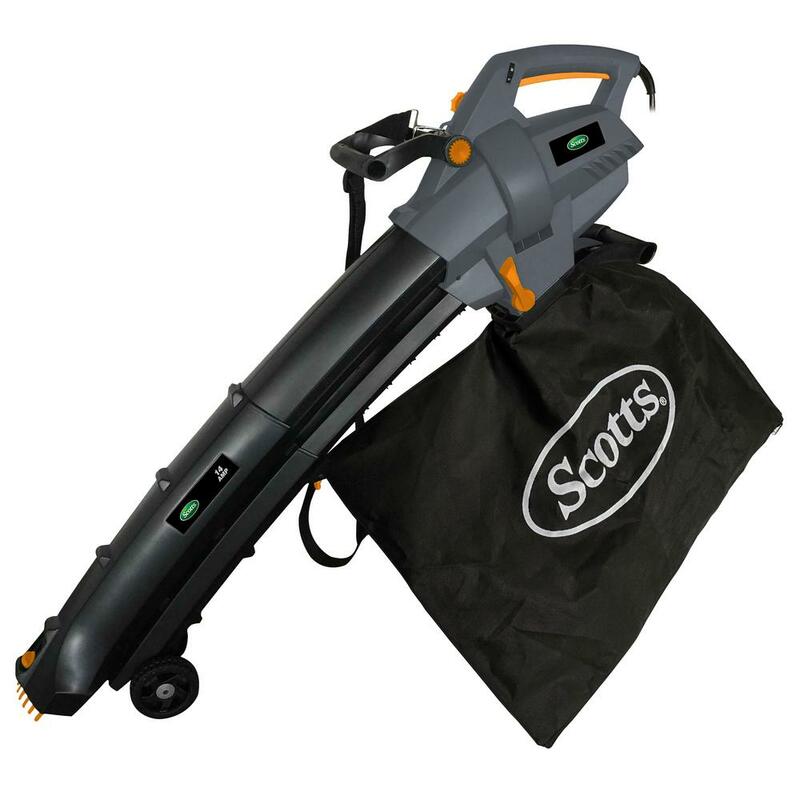 Scotts BVM23014S 14 Amp corded blower/vac/mulcher is a powerful multi-function tool. Easily change from blower to vacuum with the flip of a lever. No tools required; everything snaps into place. The tube is adjustable and unit comes with wheels for ease of use and manuerivng on any surface. The 2-Bushel collection bag makes for easy mulching and disposing of the yard waste. The shoulder strap that is included helps make all clean up jobs easier and less stressful. 3-year warranty.